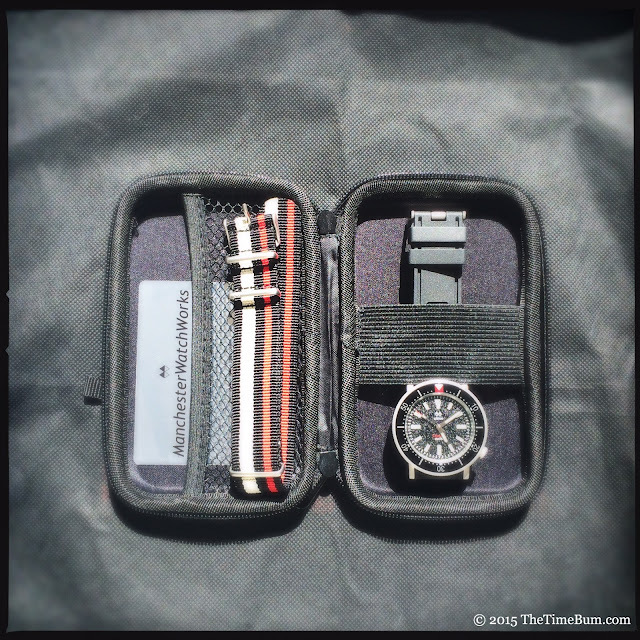 Last week, the mailman arrived toting a package from Manchester Watch Works. 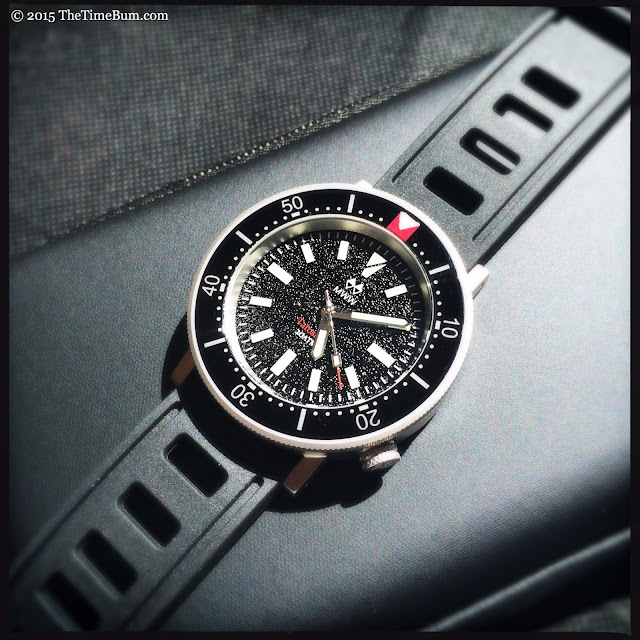 The Tatoskok diver's watch inside has had quite a journey – and I don't mean the one from Manchester, Vermont to Washington, DC. Regular Time Bum readers may recall that I first wrote about this watch over a year ago. Since then, it has had two pre-order campaigns, three case options, two hand sets, two bezels, a slight name change, and has gone from a quartz to an automatic. Now, at long last, the final, fully funded, delivery-ready model is on its way to its eager fans. The basic specs and design are nearly identical to the prototype I reviewed here, so I'll breeze through and just focus on the differences. 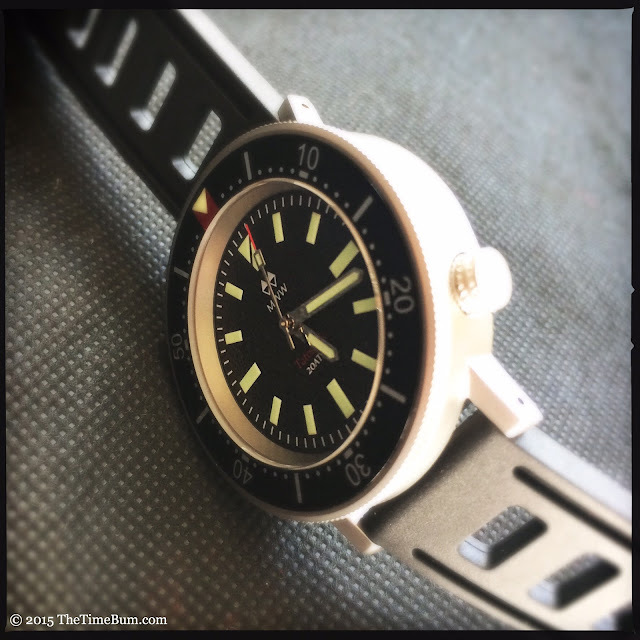 The Tatoskok is a 43mm, 200m dive watch with an anti-reflective sapphire crystal and screw-down crown. The most significant change from the original is underhood, where a Miyota 9015 replaces the Ronda quartz. This was a welcome improvement and an outrageous bargain for the lucky ones who pre-ordered at the $230 super early bird price. The case is the same hockey puck shape, but the polished and piano black variants were dropped in favor of a sandblasted finish. This was by far the most popular of the three options and I must say, it gives the watch a purposeful look that is appropriate for a tool watch. This industrial aesthetic carries through in the knurled bezel and crown, and the straight, drilled lugs. The knurled, unidirectional bezel is 43mm across and travels easily through its 120 clicks with only slight back play. The original, and somewhat fussy, bezel insert with its serif font and split numbers has been replaced with cleaner, sans-serif typeface in a conventional layout, but it retains the attractive "diver down" swallow's tail marker. One of the most distinctive elements of the prototype was its sand textured dial, which has made it to production. As I noted before, the sparkling effect can take some getting used to, but it is a fun touch and does not interfere with its legibility. The original arrow-shaped hands are now polished pencils. All three hands, the markers, and the bezel triangle are treated with C3 SuperLuminova and display a healthy green glow. 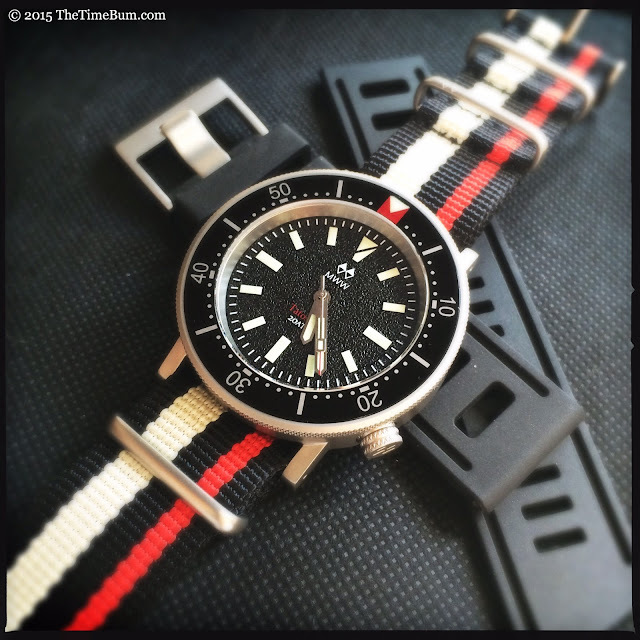 The watch comes in a tidy carrying case and is equipped with two 22mm straps: a polyurethane Isofrane style, and a black/tan/red asymmetric stripe nylon NATO. Both are signed. The synthetic rubber is a bit stiff for my taste, but the retro design really works. 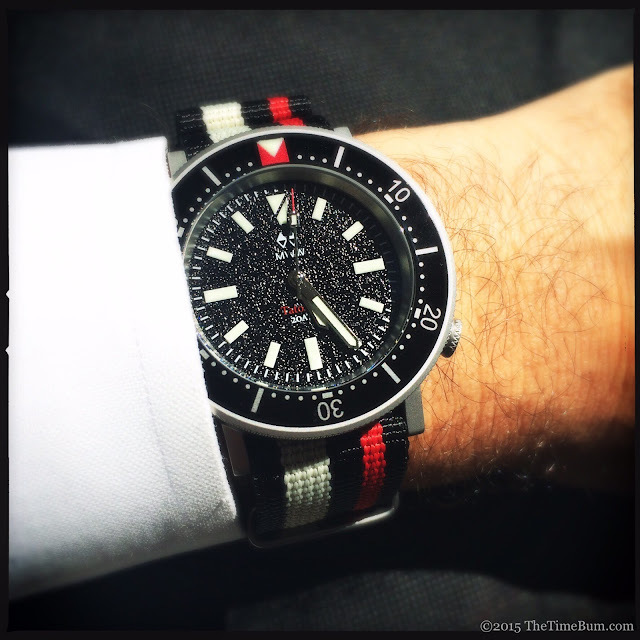 The custom NATO is a real standout and I love the fact that is was not an off-the-shelf design. The Tatoskok is a limited edition of 300 pieces. The first 210 orders are sold, but there are 90 more in the pipeline. 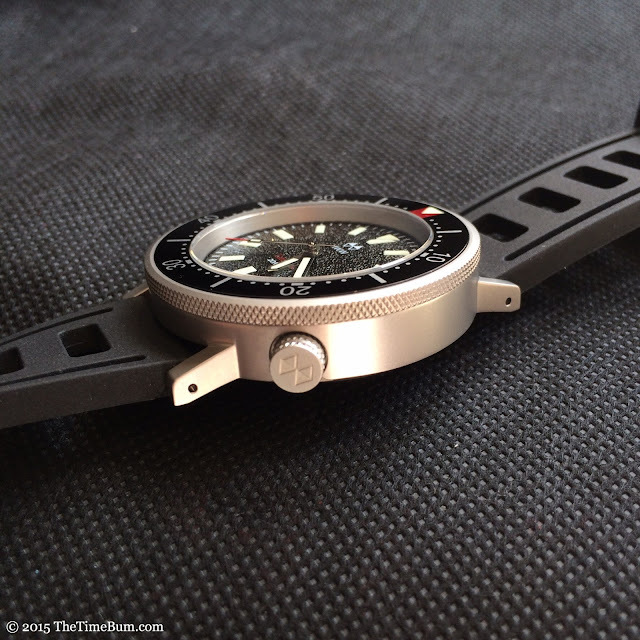 They will be available for sale soon for $310, which is still an excellent price for a 9015 powered diver. Sales are not yet open, so watch ManchesterWatchWorks.com for more information. 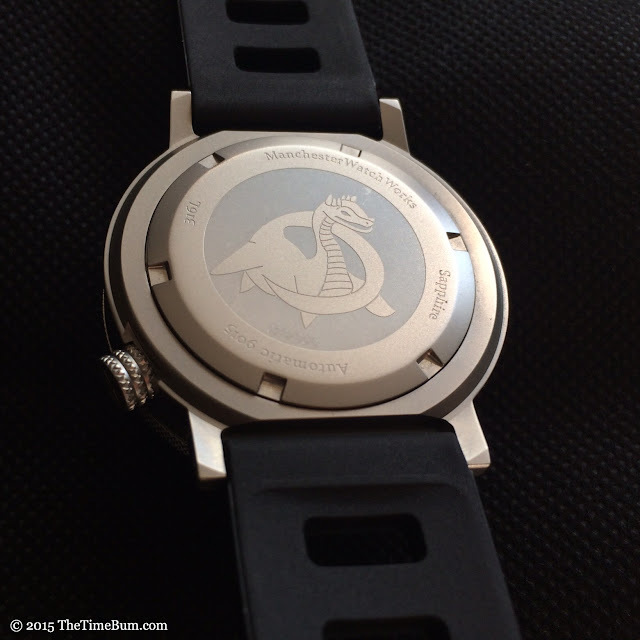 In the meantime, MWW has another watch in the works, and I believe I have a prototype coming my way... Stay tuned.